Some college students head to Cancun for spring break to experience the raucous atmosphere of one of Mexico’s most popular party destinations. 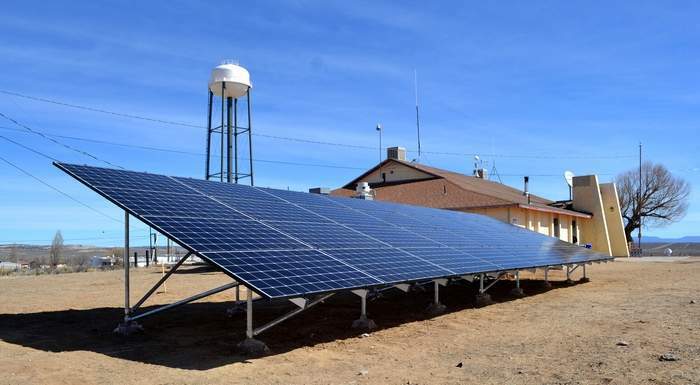 Others volunteer to bring solar energy to needy communities on the Navajo Nation. 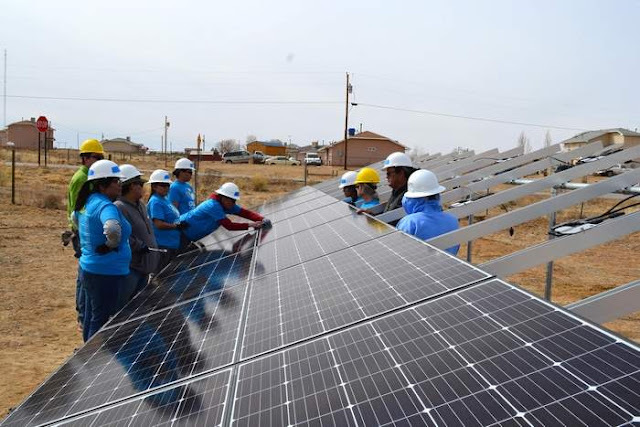 Earlier this month, 11 Fort Lewis College students installed 32 solar panels on the Ojo Encino Chapter House, the main community-gathering place for the chapter, about two hours south of Durango off U.S. Highway 550. “It was a very meaningful trip, bringing together sociology and engineering students in a way to benefit regional needs,” said Rebecca Clausen, professor of sociology. The idea for the project began last fall when Tim Willink, tribal programs manager for GRID Alternatives, gave a speech at FLC about the company’s goals to bring solar to Native American communities in need. Willink said earlier this week the company’s National Tribal Solar Program has helped more than 40 communities receive solar energy while at the same time provide tribal members and students with real-life experience. Willink went to the Ojo Encino to build a relationship, wanting to make sure the project had buy-in from the community. Ojo Encino is a small “chapter,” which is similar to a township, with a dispersed population of about 700 people in the southeastern corner of the Navajo Nation, about 25 miles west of Cuba, New Mexico. As is the case with most communities within the Navajo Nation, jobs are hard to come by and poverty can be high. Many people in the chapter have to travel 120 miles to Albuquerque for work, said chapter manager Gloria Chiquito. So the prospect of introducing solar energy, which is cheap and renewable, is a welcomed one. This particular project focused on the chapter house. “We’re excited to see the billing on this solar set up and comparing with previous bills,” Chiquito said. For FLC, the project blended students from a variety of majors to take into consideration the cultural, political, land and resource issues involved with a project like this, said Laurie Williams, a physics and engineering professor. Denyce White, an environmental studies major, immediately took to the idea of the project after hearing Willink speak in the fall. She said there was a lot of interest in doing projects locally for communities in need. James Sumpter, a junior in engineering who grew up on the Navajo Nation, said the project shows Navajos don’t have to leave behind their culture to further themselves as people. 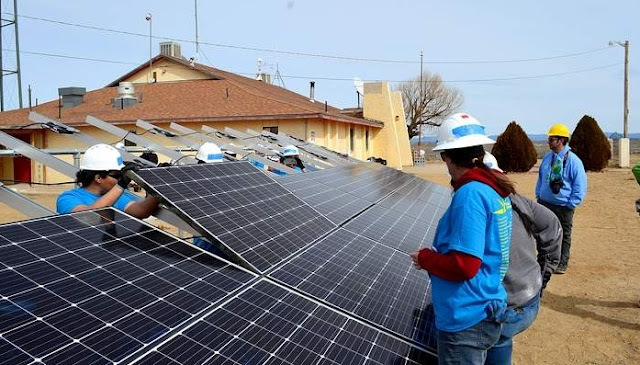 From March 5 to March 8, students helped install the solar panels at the Ojo Encino Chapter House. GRID contributed more than $20,000 for equipment and labor. 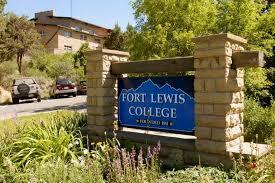 FLC pledged $5,000 to the project through the dean of Arts and Sciences, Jesse Peters. The only other costs were groceries, which were covered by the Engineering Department, Clausen said. “In-kind contributions were from the Ojo Encino Chapter House for letting us stay for free in their building, use their kitchen, wood stove, and prepare a special meal for us on the last day,” she said. Willink said the solar panels are expected to reduce the chapter house’s energy bill by 75 to 80 percent annually. With more than 300 days of sunshine on the Navajo Nation, it makes sense to use solar energy. “It’s a clean, renewable form of energy that has savings that stays in the community,” he said. White said members of the Ojo Encino chapter were receptive to the new form of energy. She said it’s ingrained in Navajo teachings to practice mindfulness in the environment you live in. Williams said she is hoping to offer the Solar Spring Break program annually to benefit the Navajo Nation. Ojo Encino’s Chiquito said she hopes bringing solar to the chapter house is just the first step in developing more affordable forms of energy. Many people there live off Medicaid or a fixed income – any little bit helps. 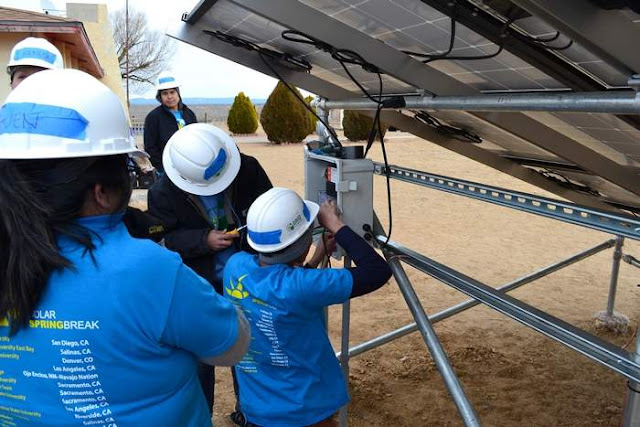 Responses to "Fort Lewis College students bring solar energy to Navajo Nation"